There's nothing quite like hiking during the autumn months. The bugs and crowds of summer have largely disappeared, and the wonderful mix of explosive colors, crisp, nostalgic breezes, and deep blue, cloudless skies have taken their place. Here are 10 amazing hiking destinations that will be perfect for witnessing the change in seasons. 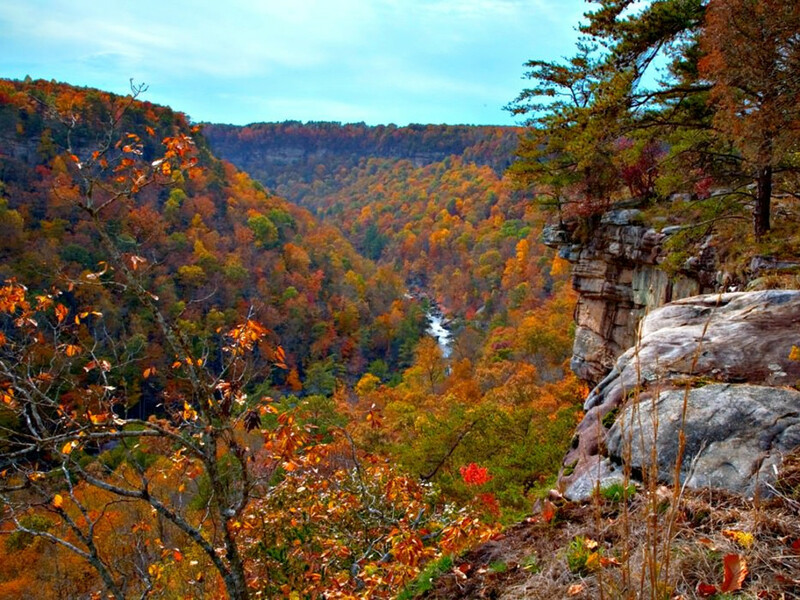 This natural preserve in the Northeastern corner of Alabama is simply breathtaking during the autumn months. In these Appalachian foothills you will find sandstone cliffs, tumbling waterfalls, rugged trails, and yes, amazing fall colors. The Lower Two-Mile Trail is a short yet strenuous hike into the canyon, which ends at a picturesque clear blue pool. Until mid-October, it may even be warm enough to take your last dip before the weather gets too cold. The Ozark Highlands Trail is a 218-mile trail, which travels over the Ozark Mountains of southern Missouri and northern Arkansas. This high plateau — the most mountainous region between the Appalachian and Rocky Mountains — is a land of dense deciduous forests, rolling hills, verdant valleys, and pristine lakes, rivers, and streams. All of the sections of this trail are worth visiting, but the remote Hurricane Wilderness Area is one particular section that has it all: creeks, canyons, interesting rock formations, and amazing fall colors. The 21-mile stretch of trail between the quaint towns of Salisbury, CT and Great Barrington, MA is one of the most underrated sections of the entire AT and is full of New England fall flare. It takes hikers along scenic ledges, over Connecticut's Bear Mountain, and into the glory of Sage's Ravine, a deep, mossy channel that is vibrantly lush. There are wonderful backcountry campsites and nice shelters along this section as well, making it easy to do an overnighter, and catching a sunrise at Riga Shelter is an unforgettable experience. After crossing into Massachusetts, drop down into rural farmlands before wrapping up your hike at a wild and wacky cafe known as the Gypsy Joynt , where you can enjoy the best burger and the largest, most buttery cinnamon roll you've ever had in your life. 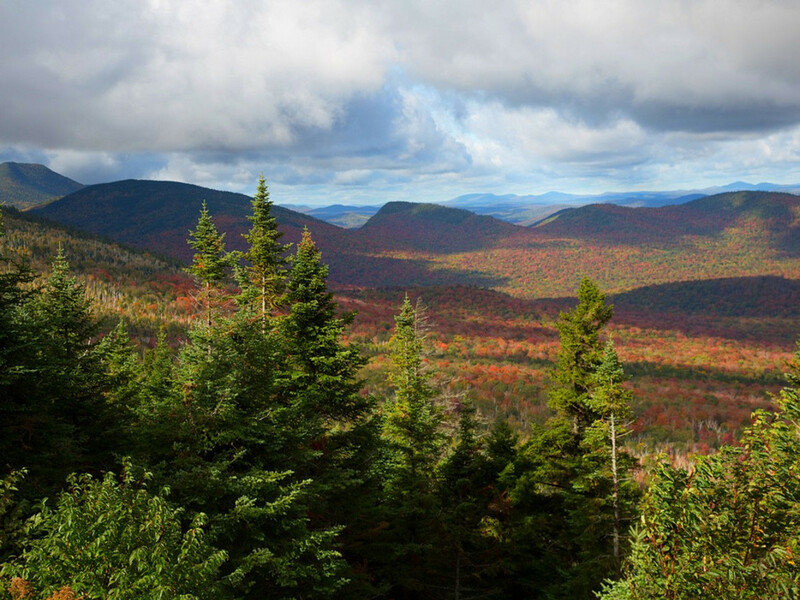 At 5,344 ft., Mount Marcy is New York's highest point. 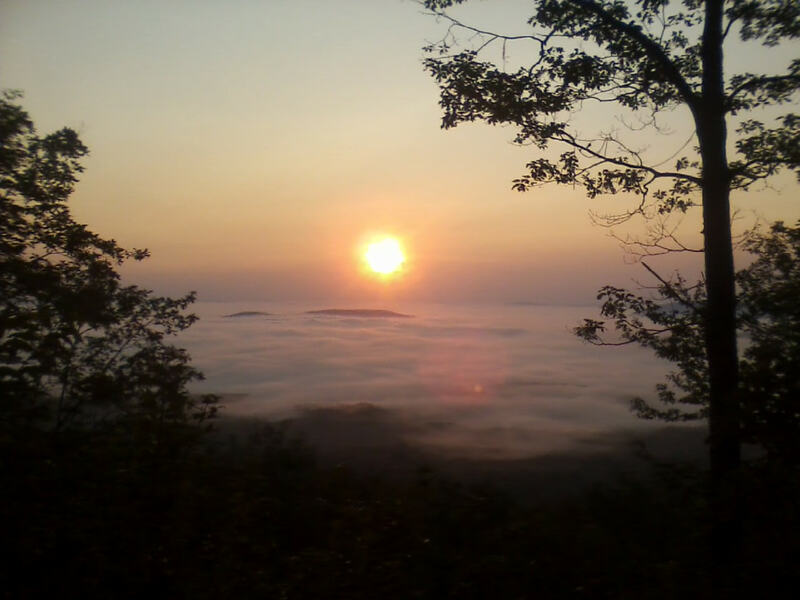 Better yet, this mile-high-plus summit is located in the heart of the Adirondacks. 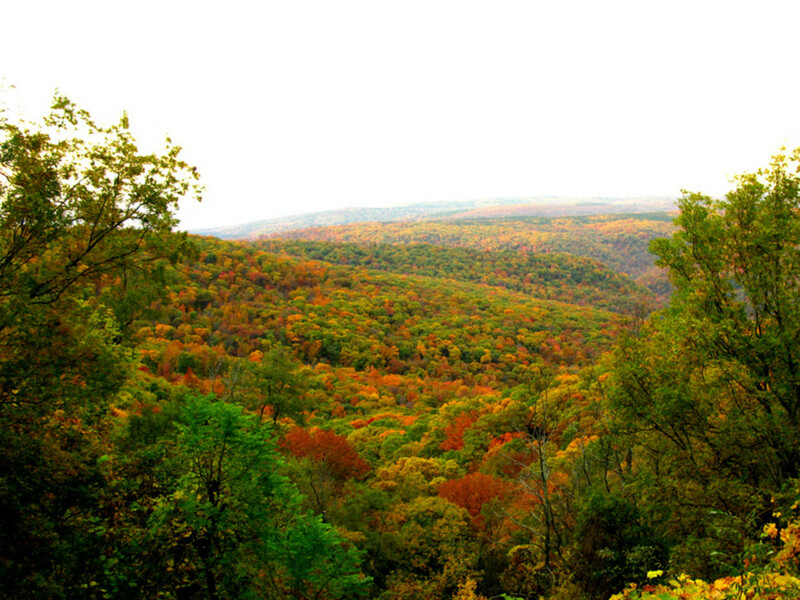 When the oak and maple forest begins to change color, the 16-mile out and back hike to Marcy's summit is an all-day feast for the senses. While the mileage is high, the trail isn't technical and a good deal of the hike has a slow, gradual change in elevation. Of course, backpacking in is an option as well, especially if you want to soak in the rainbow of colors just a little bit longer. It's no secret that Acadia National Park is one of the most premier leaf peeping destinations in the country. Each year, thousands of foliage fanatics visit this coastal park to witness its amazing display of fall colors. A hike up the North Rim Trail to the summit of Cadillac Mountain — the tallest point in the US within 25 miles of the shoreline — is an unforgettable adventure with commanding views of the park's forests, glacial lakes, and the Porcupine Islands, which dot the surrounding harbors. Afterwards, head down to the charming town of Bar Harbor for unrivaled lobster rolls and other authentic seafood dishes. 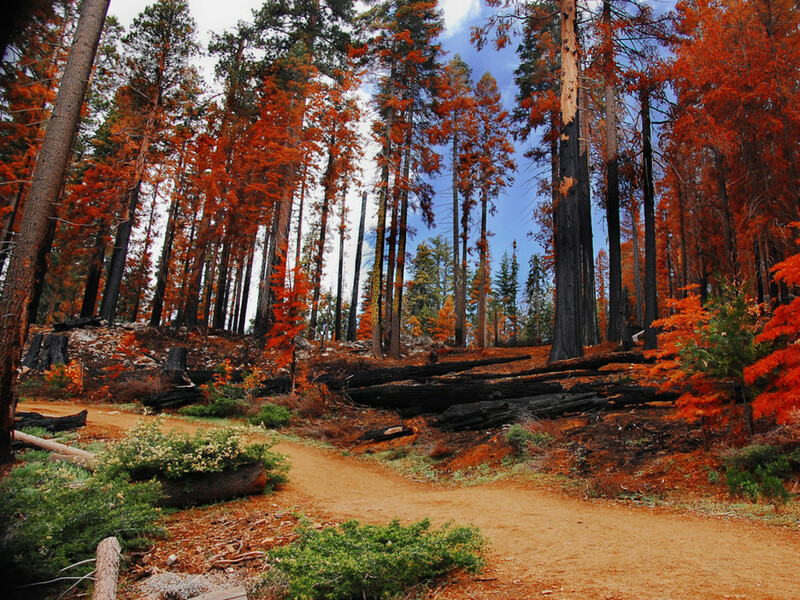 October in Yosemite Valley means the aspens are sporting their striking golden gowns and the dogwoods are donning their coats of radiant red. It also means that the crowds of summer have whittled down, making it a wonderful place to visit. In particular, the Valley Loop Trail is an 11.5-mile full loop or 7.2-mile half loop, which delivers pastoral views of the deciduous landscape and of some of Yosemite's most iconic sites, like El Capitan and Bridalveil Fall. 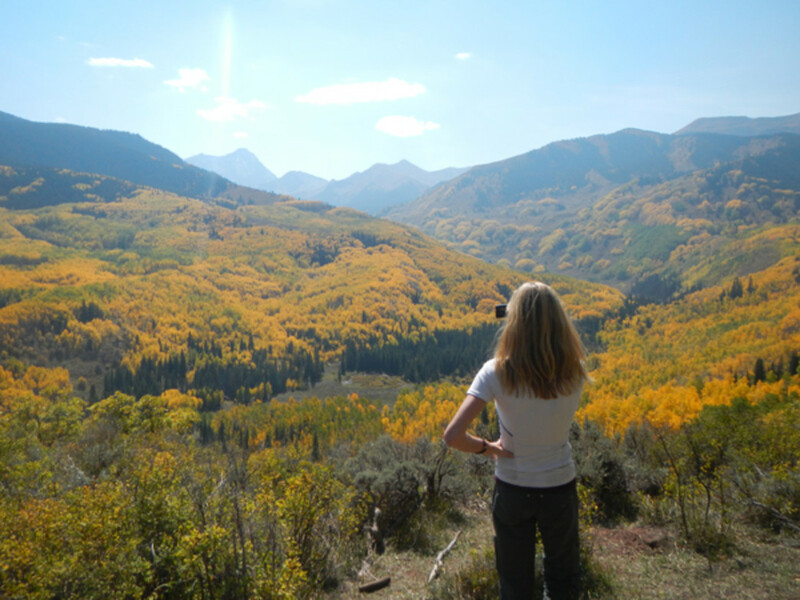 Located just outside of Aspen, the Capitol Creek Valley is one of Colorado's very best autumn destinations. In early September the landscape transforms into a golden forest extending all the way to the foot of 14,131 ft. Capitol Peak. Hiking along the trail is a magical experience, especially in later afternoon as the soft sunlight is filtered through the endless tunnels of pristine white and yellow aspen groves. Camping at Capitol Lake (7 miles from the Capitol Creek trailhead) lets you visit the headwaters of the namesake creek — and if you can believe it, the views are even better from there! As a bonus, the out-and-back option has one trail that goes directly through the valley and one that stays above the creek along the rim of the basin, meaning you'll get a new look on the way back. Olympic is the fifth most visited national park in the country, but for eight months out of the year it is virtually empty... which is a real shame, because during the rainy fall season here, it's one of the most wild and wonderful corners of America, and there are plenty of reasons to visit . 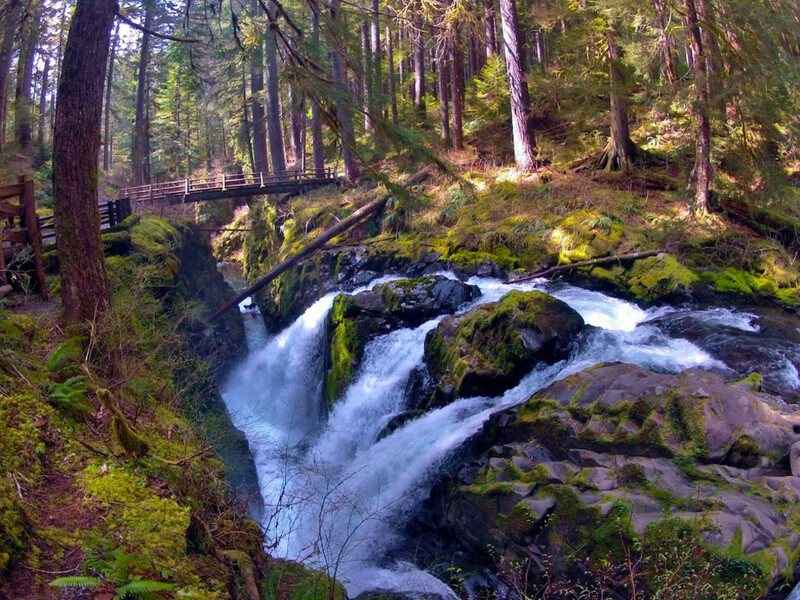 If you can brave the unprecedented amounts of rainfall, you're in for a seldom-experienced treat, as the region comes alive with gushing waterfalls, herds of mating elk, pounding coastal storms, and inspiring and beautiful salmon runs. Ahhh, the famed Grayson Highlands. 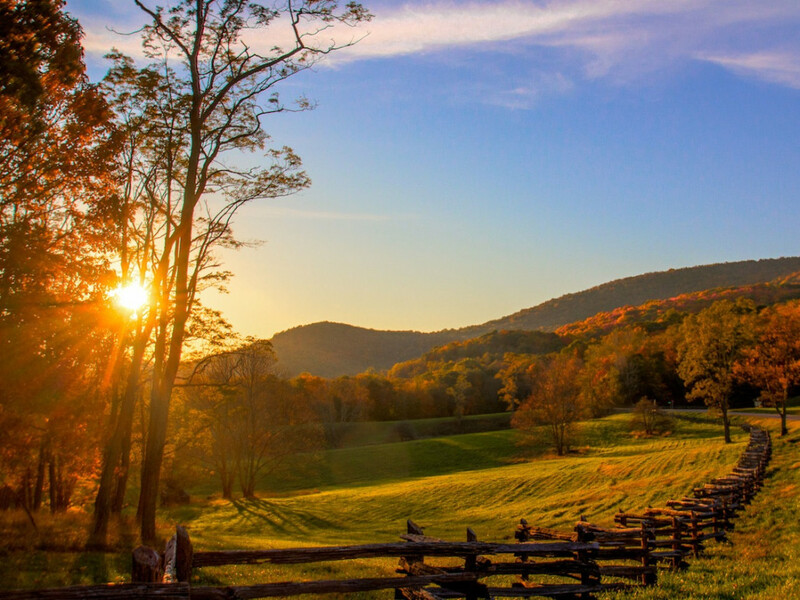 Perched high in the Virginian Appalachians, in the Jefferson National Forest, this state park is home to grassy pastures and meadows, 5,000+ foot peaks, wild ponies, and crystal clear mountain streams lined with rhododendron tunnels. On fall weekends, this place is buzzing with visitors, which rather than being a turnoff, actually results in constant accompaniment by the smells of campfires and burning pine. Not to mention, the nearby trail town of Damascus, VA is an excellent place to end your exploration. Blue Blaze Cafe has the best Philly Cheese Steaks south of Pennsylvania as well as flowing taps with seasonal brews and ciders. This 38-mile trail is one of the most epic fall weekend backpacking trips you can take. 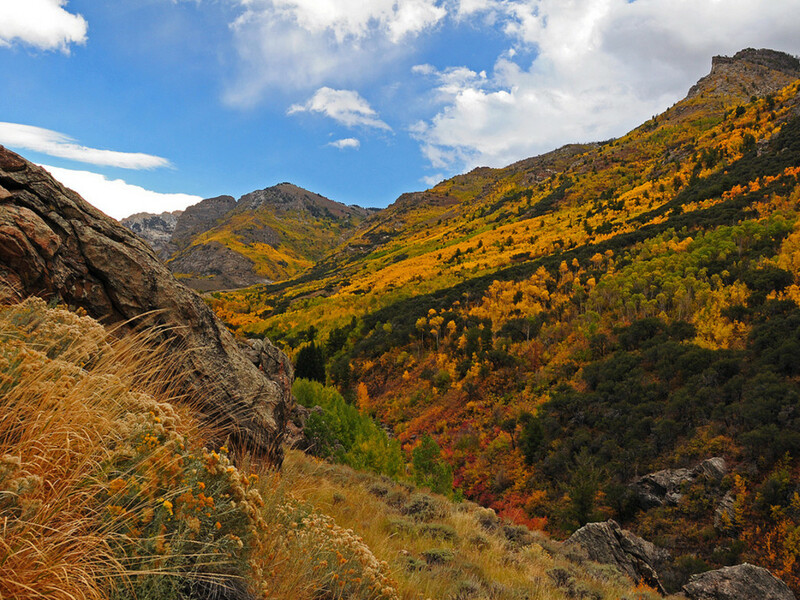 Tracing the middle section of the Ruby Mountains, in northeastern Nevada, this rugged route travels past glacial lakes, over soaring peaks, and through deeply carved canyons. 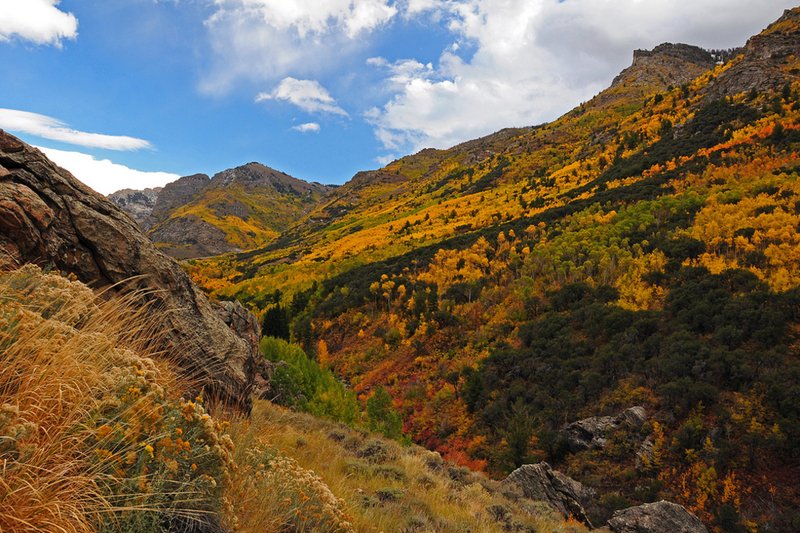 Beginning at the northern terminus in Humboldt-Toiyabe National Forest's Lamoille Canyon, you're immediately treated to golden aspen groves and cottonwood-lined couloirs, and it only gets better as you head south. The Ruby range is the wettest in the state, making for lush landscapes and plenty of clear blue glacial tarns. A truly magical place during the fall. 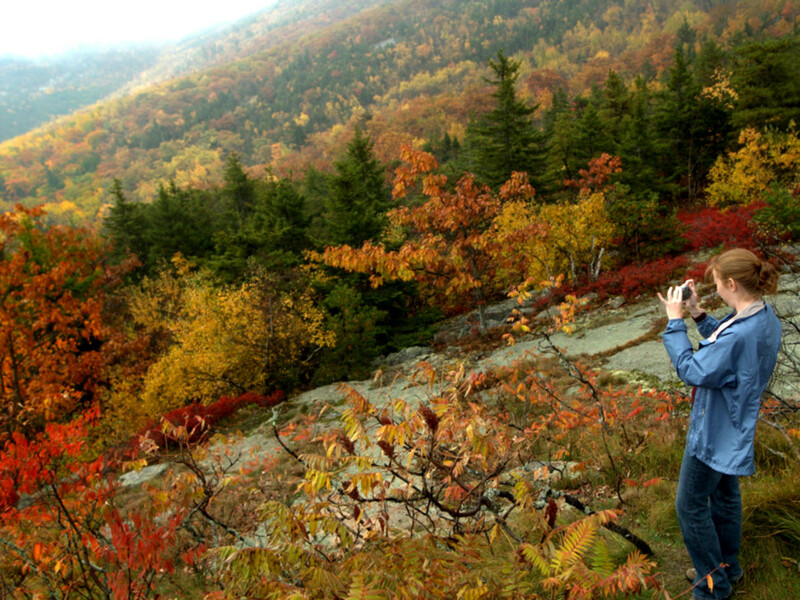 There are too many beautiful fall hikes to list them all; these are just some of our favorites. We'll see you out there!